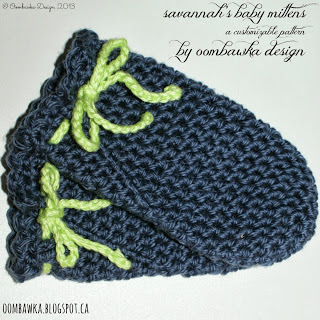 Here is another free crochet pattern for you 🙂 Savannah’s Baby Mittens Pattern. These mitts are totally customizable. 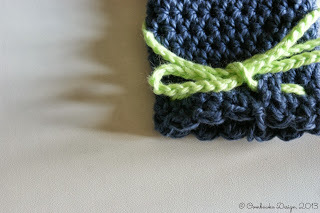 You pick the yarn, crochet hook and stitch and make the mitts to fit your baby’s wee hands. These thumbless mittens are worked in the round from the fingers to the wrist, in one piece. 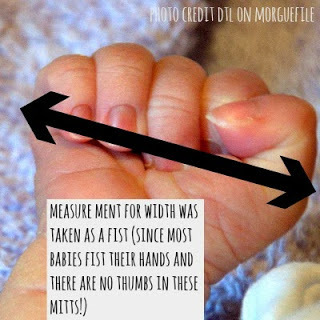 Savannah’s hands are almost 5-inches wide and 4-inches long (from her middle finger to her wrist). These mitts were made to be 5.25″ in circumference (before stretching) and 5″ in length. These mitts are made to go with the sweater I crocheted earlier this summer,the booties I blogged about last Thursday and the bonnet that I made and will be sharing with you all soon. First, I will share the pattern I designed for these exactmitts and at the end of the post I will tell you how to customize this design to your preferred yarn, hook and hand-size. Finish off and sew in loose ends. Wrist ties: In a contrasting colour of yarn and with a 2.75 mm crochet hook, ch-80 and finish off. 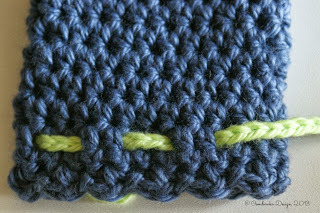 Weave the chain through the last round of hdc stitches (I went between every 2 sts). Sew the ends of the chain into the last few stitches of the chain to finish it off. The tie can now be used to gently tighten the mitts to secure them around the baby’s wrists. The length of the ch-80 is approximately 12.5″ long. Repeat the process for the 2nd mitt. 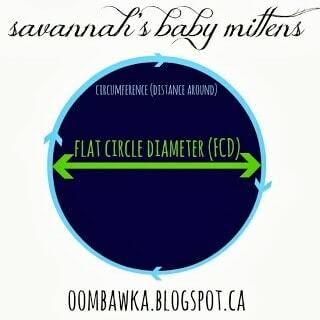 For Savannah’s mitts the finished dimensions are 5.25″ circumference and 5″ length. 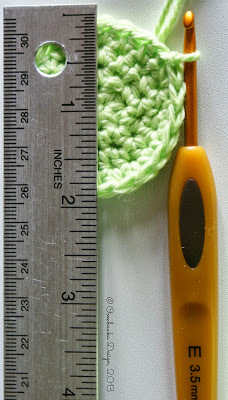 To make a pair of mitts 5.25″ circumference you will need to crochet a flat circle diameter (FCD) of approximately 1.7″. The FCD is made-up of the increase rounds (see rounds 1-3 above). 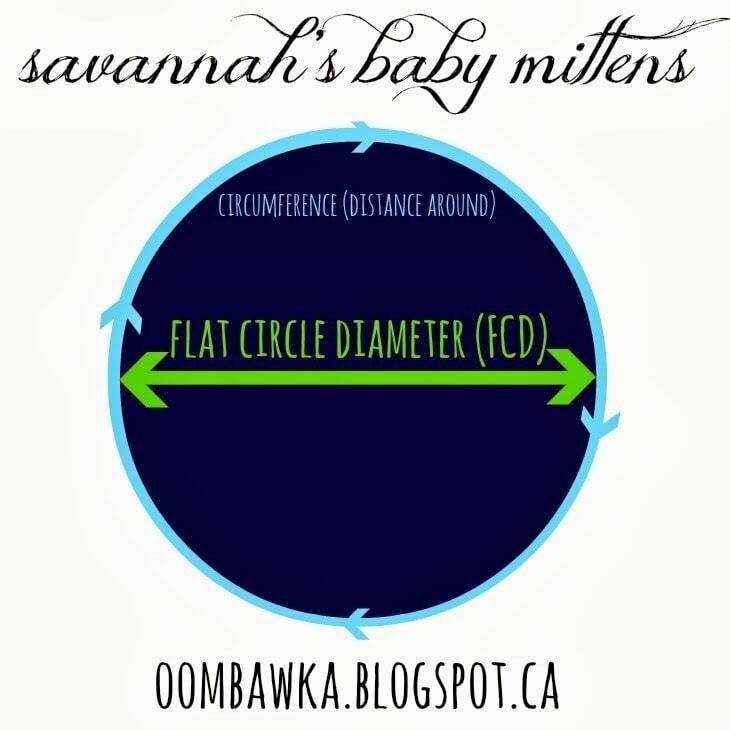 To make it easier – because I know math can really scare some people off 😉 here is a chart for you with some measurements. Find the circumference you would like to make (the measurement around the widest part of the hand) and then crochet to theFCD specified (or as close to it as you can get). 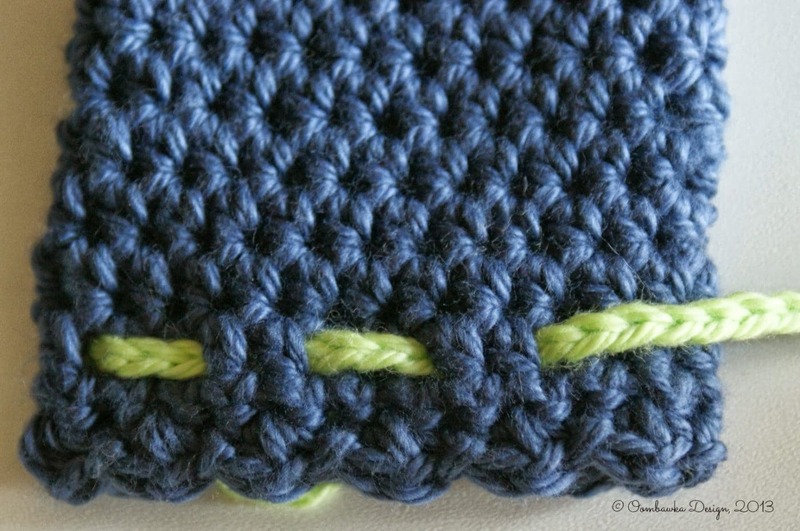 You can do this in single crochet, half double crochet, or double crochet – or a speciality stitch. …until you reach your chosen FCD. For the length, decide how long you want the mitts (measure from the fingertip to the wrist) and add 1-inch for the ‘cuff’ of the mitt. For my pattern I stopped hdc rounds once the length of the mitten reached 4.75″ and then added the final 2-rounds of the pattern. I don’t understand what the “space between each hdc of the previous round” means. Please explain. Up to that row, I was doing fine! I’m so happy to have JUST discovered this site ! 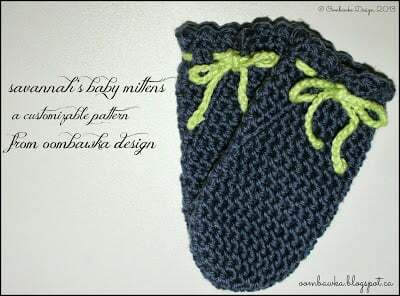 I’ve been on the hunt for an easy free crochet pattern for a slipper that’s done all in one piece. It could be in the round. It’s for an adult. It would go up above the ankle. I need a beginner or easy pattern. Do you think you could help me with this ? I Love Love Love your site & I’m SO VERY EXCITED to have found it !!!! Thank you so much !!! Thank you Tara 🙂 I’m glad you could find an E hook! This is my favorite pattern. I had to go out and buy an E hook as I have at least 2 or 3 of just about every size, but couldn’t find an E! 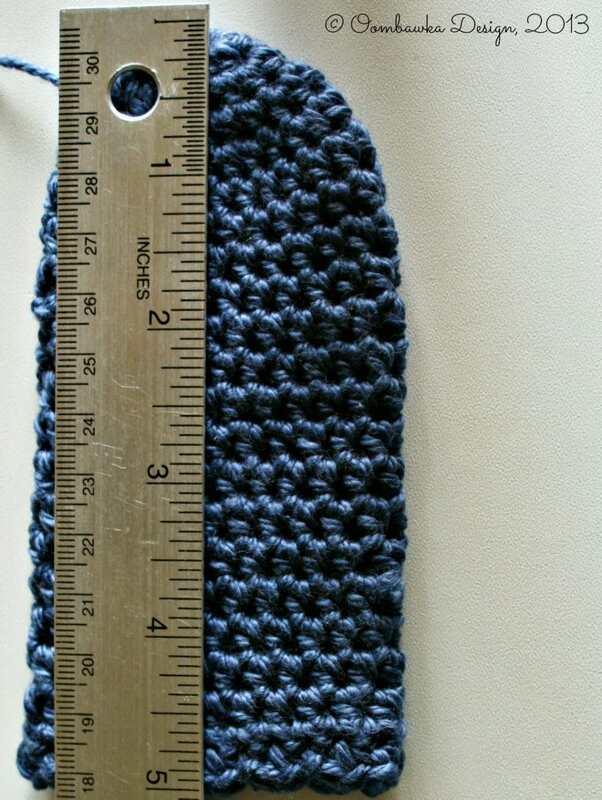 Hi, thank you so much for sharing this pattern.3.50 hook is my favourite, so I am always on the hunt for patterns with this size. Loving your other patterns also.